JEFFERSON CITY, Tenn. — Welcome to Cinderella’s Closet! 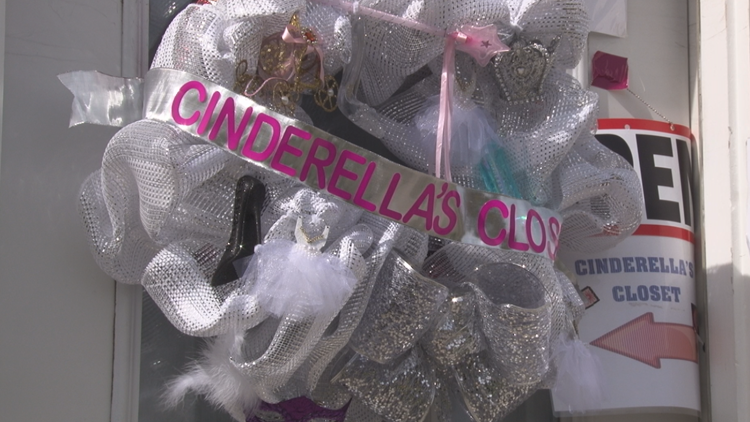 This community outreach program provides jewelry, shoes, undergarments, wraps and a dress to all princesses within a 150-mile radius of Jefferson City. “They come in sometimes not so happy… not happy with their body shape," said Janet Keller, one of the founding fairy godmothers of the organization. But once the ladies of Cinderella’s Closet work their magic, they can make prom dreams come true. “When they come and look in the mirror, and they’ve got that dress on, their whole demeanor changes," Keller said. There’s no cost to the family or girl and they can choose to keep or return the dress. All that Janet and the other women of the program ask is that the girls pay it forward to others in any way that they can. The program operates throughout the school year and helped more than 550 girls in 2018. If you would like to make an appointment with Cinderella's Closet, you can email them at cinderellasclosetofeasttenn@gmail.com.